Laminate is a replication of hardwood flooring that is used for areas that need extra protection from high foot traffic. Laminate is known for its easy upkeep and ability to mimic hardwood flooring. 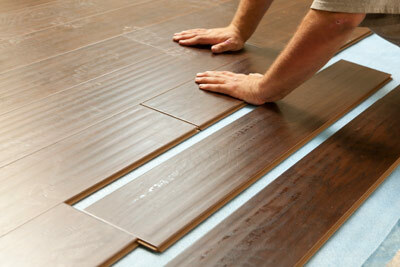 Today’s laminate flooring choices are so incredible they are often mistaken for hardwood flooring. Laminate is a multi-layer flooring product bonded together with extensive lamination techniques. Laminate is an affordable flooring option, perfect for small budgets yielding great results. With realistic patterns, textures and a multitude of styles and color choices, the durability, good looks and value pricing means you can expand your decorating ideas without increasing your budget or sacrificing quality. 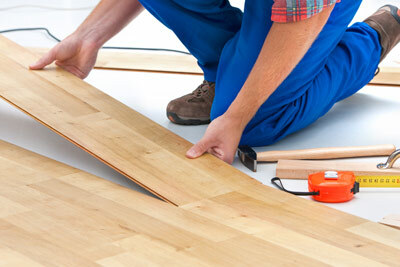 Laminate Flooring is constructed in layers. The bottom layer being the backing designed to resist moisture. Above the backing is the inner core made from high density fiberboard reinforced with a special resins. The next layer is the image design layer with the high resolution image and the top layer is the wear layer designed to protect from fading, scratches and damage from wear and tear. Today’s laminate flooring simulates the authentic look of hardwood and the possibilities for new styles and colors are limitless. With over 20 years of experience serving the Houston Metro Area, ABF Remodeling can assist in your laminate flooring project to choose the right material, color option, and finish to meet or exceed your project goals. Call us today at 281-855-3400, or fill out the information below, and one of our design consultants will contact you as soon as possible.